PhD (Cornell University), MBA (Emory University), BSc (Tsinghua University). 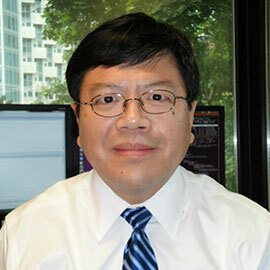 Ping Zhao is an assistant professor of Marketing with the Lazaridis School of Business & Economics. He is primarily interested in how companies can improve their customer relationship management (CRM) by leveraging the power of social influence among customers. He is also interested in using mobile technology to improve companies’ CRM and advertising efficiency, particularly re-building CRM functions on a mobile platform. Prior to joining the academia, Ping had worked as engineer, market analyst and consultant in various companies in China and the U.S. Customer relationship management, social network, mobile marketing, customer analytics, bayesian methods.